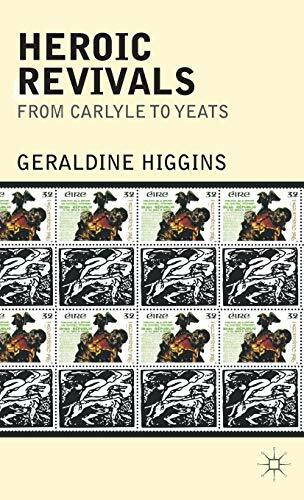 Heroic Revivals from Carlyle to Yeats reassesses the cultural and political dimensions of the Irish Revival's heroic ideal and explores its implications for the construction of Irish modernity. By foregrounding the heroic ideal, it shows how the cultural landscape carved out by these writers is far from homogenous. Revising the prevailing critical view that there was a single logic of heroism which led inevitably to the Easter Rising, Carlyle's leadership fetish is transformed in the Irish context into a flexible model of heroic intervention in history. Ultimately, Heroic Revivals from Carlyle to Yeats shows that the self-consciously anti-modern Revival writers, engaging with a dynamic aesthetic of heroism, are in fact the architects of Irish modernity.